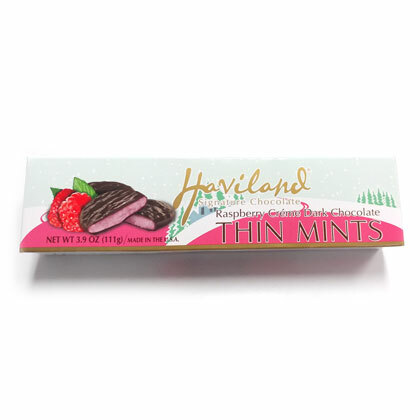 Haviland dark chocolate raspberry creme mints. 63% cacao dark chocolate. Made by Necco in Revere, MA. Box is approx. 8 inches long by 2 by 1.5 inches wide. Approx. 20 pieces per box.